For seven years Once Upon A Time has filled our lives full of joy, adventures, hope, and magic. But like all good things this too must come to an end. For many, this show has inspired us to push our limits and believe that anything is possible. It taught us that the right path isn’t always the easiest one, kindness is key, everyone deserves a second chance, and that ultimately, it’s not about the destination but about the journey. 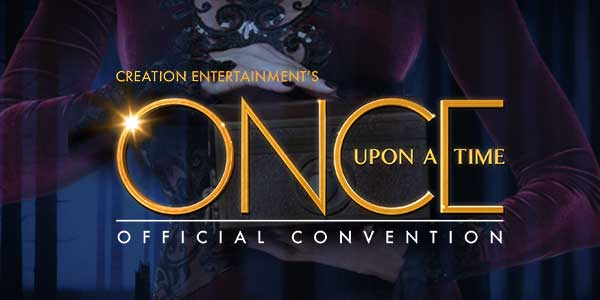 The show has indeed enchanted many fans over the years, which was immensely apparent at the three-day farewell convention and their final stop at the Marriott Convention Center in Burbank, California hosted by Creation Entertainment November 9th-11th. Upon entering the convention center on the first day, you could feel everyone’s excitement to be there, fans all wearing Once merchandise, with The Evil Queen’s face on it, shirts with quotes from the show, some fans in complete cosplay as some of the shows most beloved characters. Creation Entertainment is known for bringing its fans close to some of their favorite stars from the show through presentations, photo and autograph opportunities, a live concert, trivia competition, and a karaoke night where you can get up on stage and belt one out with stars from the show. Who wouldn’t be excited! Lana Parrilla (Regina), Colin O’Donoghue (Captain Killian “Hook” Jones), Rebecca Mader (Zelena), & Emilie De Ravin (Belle) were just a few of the stars that attended this event. Pop Entertainment arrived at registration Friday morning. The line was very easy to manage, and the staff present was polite and helpful throughout the entire process. There were also many signs posted all around the convention center to help with purchasing photo ops, where the different panels were, as well as, times and pricing. In addition, they provided schedules for the entire weekend that were at the registration table upon entry. So, it would be very easy for a first timer to come and navigate through the experience with ease. This is just one of the things that make Creation Entertainment conventions the best conventions to attend. Lee Arenberg, who plays Grumpy on the show, was the MC of the convention. He came on stage and got the crowd pumped and ready for the weekend. Samurai Fish, the house band also helped excite the crowd with great music. They are a Funk Rock n’ Soul cover band that have been the official house band for all of Creations conventions for some years now, doing other conventions for Creation such as: Vampire Diaries, Supernatural, and any other conventions that happen. As a spectator I can honestly say they do an amazing job. The first panel of the day was with Gil Mckinney (Prince Eric). He has been coming to these conventions since the first one in 2012. Gil was very charismatic and was up for answering anything thrown at him. He did not sit down one time throughout his entire panel. Instead, he walked around amongst the audience. He talked about what his life has been like since Once, and how grateful he is for the show and the fandom it has created. It was nice because it was like you were hanging out with him in a very laid back, relaxed atmosphere. Which I saw became a theme for the entire convention, as a whole. Gil Mckinney was kind enough to share about his life and informed everyone about his new CD that will be coming out soon. Next up was Chad Michael Collins (Gerhardt Frankenstein). This was Chad’s first convention, but he was excited to be there. He told of his character and what it was like to play this iconic monster. He also got some good questions about how he got into character for the role. In addition, he told of how he originally got into acting in the first place; he was an intern at a public relations firm. This helped him to making some amazing connections and then ultimately decided to become an actor. As the panel continued, Creation was announcing photo-op numbers on the big screen behind the stage, it was neat because it seemed to allow fans the luxury of enjoying the panels while waiting for their photo-op instead of standing in a huge line and missing the panels while they waited. After Chad, we decided to go take a look at all of the amazing vendors in the lobby of the convention center. The area was pretty big and right outside of the main ballroom, so it made it very convenient to come sneak a peek when there were short breaks. They had a great selection of items, some of which weren’t Once merchandise at all! They also had items from Riverdale, Supernatural, The Originals and General Hospital. All of the items were all very affordable and great quality. And on the last day of the convention all merchandise, including the Once Upon A Time merchandise was on sale. The last two panels for Friday were with Chris Gauthier (Smee) and Jared Gilmore (Young Henry). Both panels had some fantastic questions. Chris was constantly getting questions on how it was being Hook’s (Colin O’donoghue) right hand man and what it was like working with the infamous Captain. Jared Gilmore talked a lot about his struggle with anxiety and how he has learned to cope with it. He was also asked, “what it was like to grow-up on a show like Once Upon A Time?” in which he could not stop gushing about what wonderful people he had around to help him through his growing pains. Jared was also thanked many times for his ongoing support of organizations like “The Trevor Project” and many others. Overall, the last Once Upon A Time convention was a bittersweet success. Creation Entertainment did a great job celebrating the show and giving fans an exclusive and memorable experience. We also had a fantastic experience with all of the actors and actresses. If anyone ever asked me what convention they should invest their money in, Creation Entertainment would definitely be at the top of my list! However, I also believe it depends on what convention you are going too. The Once Upon A Time cast are not only brilliant actors and actresses but also extremely beautiful people inside and out, which in my opinion, makes their conventions outshine all the rest. Copyright ©2018 PopEntertainment.com. All rights reserved. Posted: November 13, 2018. Photos by Lindsey Blick © 2018 except for #1 courtesy of Creation Conventions. Tags: Alice, Andrew West, Belle, Beverley Elliott, Burbank, CA, Captain Killian “Hook” Jones, Chad Michael Collins, Chris Gauthier, Colin O’Donoghue, convention, Creation Convention, Creation Entertainment, Emilie de Ravin, Gerhardt Frankenstein, Gil McKinney, Granny, Grumpy, Henry Mills, Jared Gilmore, Jasmine, Karen David, Lana Parrilla, Lee Arenberg, Leroy, Lindsey Blick, los angeles, Marriott, Once Upon a Concert, once upon a time, Prince Eric, Rebecca Mader, Regina, Rose Reynolds, The Wicked Witch, Tily, William Smee, Young Henry Mills, Zelena. Bookmark the permalink.